(formerly Captain Kirk’s) Our on premise kite school has 25 years of experience and is equipped with the latest Ocean Rodeo gear. All instructors are IKO certified. We support our students with quads, radio helmets and a jet ski on request. Adam, our kite school manager, and his team of IKO certified instructors will get you ridding happily and safely! 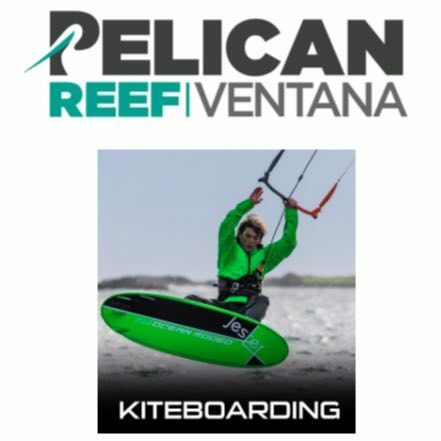 In addition, Pelican Reef/Ventana guests get 30% off Ocean Rodeo gear. Stay with us and/or learn to kite at our on-site kite school and get the 30% off new gear. We cater to all levels from beginners to specialized lessons for the more advanced riders including jumping, surfing or simply to take your riding to the next level!